The South African Journal of Geology (SAJG) is the peer-reviewed journal of the Geological Society of South Africa (GSSA). 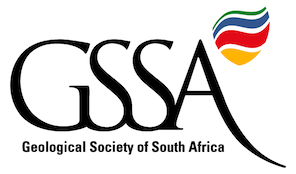 The SAJG was first published by the GSSA in 1895 as the Transactions of the Geological Society of South Africa, and then as the SAJG in 1987 (vol. 87). The SAJG publishes scientific papers, notes, and discussions in the broadly defined fields of geoscience that are related to the geology of Africa. Contributions relevant to supercontinental entities such as Pangaea and Gondwana are also welcome as are topical studies on any geoscience-related discipline. Production, publication, and distribution of the South African Journal of Geology (SAJG) are managed by the Geological Society of South Africa (GSSA). The SAJG is indexed/abstracted in a number of reference works, including CAB International, Cambridge Scientific Abstracts, Chemical Abstracts, Geo Abstracts, IBZ, IBR, Mineralogical Abstracts, Current Contents, Research Alert, and Scisearch. The South African Journal of Geology is available online at GeoScienceWorld (GSW). Abstracts are available from vol. 87 (1984) and the full text including all figures and tables of papers published in SAJG from vol. 103 (2000). There are a number of options regarding access to the SAJG online. If you are a GSSA member, you can view the SAJG online on this website once you are logged in. If you are working from an institution which has subscribed to GSW, you can use your default method for that institution to access the SAJG Online. If you are not a GSSA member or not part of an institution that has a subscription to GSW you will have to pay to view articles. Alternatively, hard copies may be purchased through the GSSA office. The article should make a contribution toward our deeper understanding of Earth processes, broadly defined. Copyright in papers published by the SAJG is vested in the Geological Society of South Africa. The language of the SAJG is English. Papers are generally limited to 40 double spaced A4 size typed pages including text, references, figures and tables. Notes are regarded as short papers on topical issues and every attempt will be made to publish them quickly. They should not exceed 4 printed pages including text, references, figures and tables. Discussions represent a forum in which previously published papers that appeared in the SAJG can be disputed, clarified and/or discussed. Replies to such discussions will be invited from the original authors. Discussions must be submitted as soon as possible and not longer than six months after publication of the original paper. For review purposes, manuscripts should be submitted to the Editors by e-mail, as a single PDF file of no more than 5 megabites. Manuscripts including references should be typed double space and in 12 font size. All pages should carry the authors name and be properly numbered. Authors are encouraged to include with their submissions the names and e-mail addresses of persons they deem suitable to be referees of their manuscript. At their discretion, the Editors may use them. Manuscripts for review should be submitted doublespaced in the style of the SAJG and authors are requested to consult an issue from 103(3/4) onwards to see what that is. The title page should include the title of the manuscript, initials, surname, affiliation and e-mail address of each author and corresponding address. The Abstract should be a short summary of the paper. Avoid using deferring phrases such as “…is discussed.” and include no references. Remember that your abstract may be the only part of your paper that is read so it should help readers to become quickly informed about your results and to decide if your paper is relevant to their interests. Abstracts from the SAJG are circulated by international retrieval systems. The text or main body of the manuscript should be logically organized into sections but please avoid overuse of subsection constructs. There must be a clear separation of facts and observations from interpretations and inferences. An alphabetical and then chronological list of all references sited should follow the main text. The format of references can be obtained in any issue after 103(3/4) and the names of journals should be spelled out in full. Papers “in preparation” and “submitted” cannot be used as references. Please make a careful crosscheck of the reference list against citations in the text. Tables should be compiled on separate sheets and designed to fit across a single or double column width of the journal page. Use of decimal points, rather than commas, is required for all reported numbers. Illustrations should be legible and contain only relevant information. Place names and other locations mentioned in the text must appear clearly on maps. Clear instructions must be provided on how mathematical symbols and equations should be printed. For Greek and non-Roman letters, authors must identify the symbol in words the first time it is used. Receipt of manuscripts will be acknowledged by e-mail or by post if an e-mail address is not provided. Revised manuscripts should be returned to the Editors in electronic format either on a disk or CD or as e-mail attachments. The text should be in MS-word, tables in Excel and figures should be in uncompressed TIFF, JPG or PDF format. Figures submitted should have resolutions of 300 dpi for colour, 600 dpi of greyscale and 1200 dpi for black and white. Colour in figures should be CMYK not RGB, with supporting text to be in one colour, 100% black and not in CMYK or RGB. Figures must not be embedded in word. The cost of colour illustrations in the printed journal will be charged to the authors but no charge will be made for colour illustrations in the electronic version of the journal at GeoScienceWorld. Authors will receive copies of their articles as high quality PDF files. No reprints will be provided. In the covering letter, the authors must explain in detail how they dealt with each of the referees’ comments and suggestions. Geobulletin is a quarterly news bulletin published by the GSSA with a circulation of approximately 2400 and a readership of 6000. Members of GSSA receive a print copy of the bulletin in addition to it being available online via this website once they have logged in. Non-members can access Geobulletin via GeoScienceWorld. Geobulletin covers the latest news from the GSSA and from university geology departments around the country; reports on the latest research and conference proceedings; and upcoming national and international events. Geotraveller is a regular contribution on interesting geological sites around the world. Also included are letters from fellow geoscientists, book reviews, obituaries, and classified advertisements. Geobulletin is the ideal publication to advertise your services or products to the geosciences community at very reasonable rates. For detailed prices and submission requirements, please contact Geobulletin’s advertising co-ordinators Jann Otto (082 568 O432) or Lully Govender (011492 3370, 046 603 8309); or the layout and design co-ordinator Belinda Boyes-Varley (079 129 7748). Content submissions should be done via the convener and editor, Chris Hatton (082562 1517). Copyright © 2019 GSSA. All rights reserved.